Lelo in Nopo: The word fabulous does not do it justice. 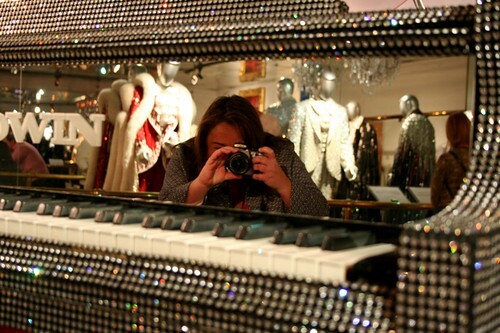 Imagine a world of glitter and feathers, gilt and mirrors. Monkey fur and capes, bling beyond your wildest of dreams. 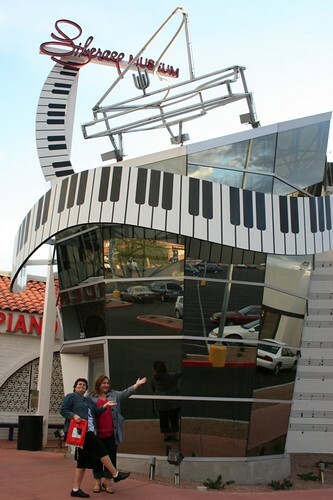 Put a little piano music behind it all, drop it into a strip mall in Las Vegas, and you have the Liberace Museum. Purpletwinkie and Mr. J. were our escorts, and we had 45 minutes to take it all in. It was very, very hard to focus. So many shiny reflective surfaces. 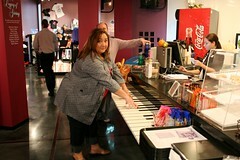 So many pianos to play. So many lines that were just meant to be read out loud. It was a magical and mystical visit. 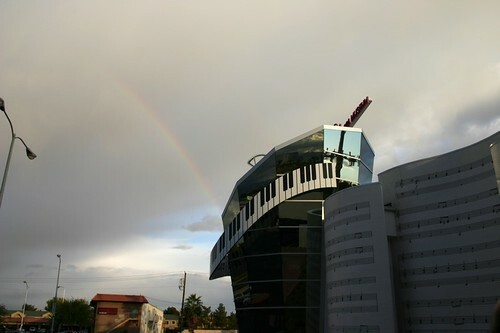 Even a rainbow filled the sky as we left. What a heavenly visit. Thanks, Purpletwinkie and Mr. J. You guys are the best. 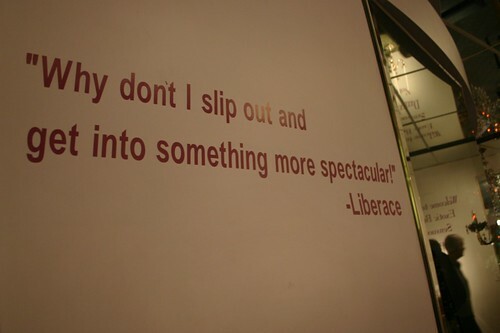 To see more photos from our visit to the Liberace Museum, go here. Sweet mother of gawd. Awesome. These photos are great. 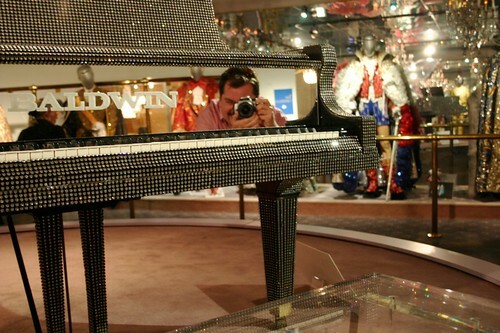 You know I love sparkley shiny things. 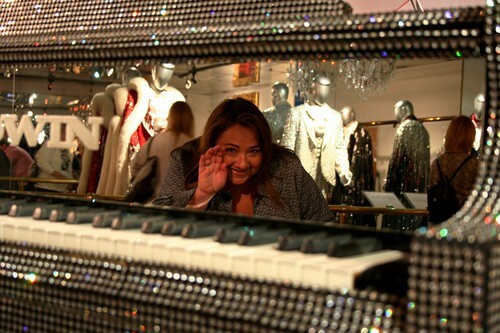 If I ever go to Vegas, the Liberace Museum will be at the top of my list of things to see. How great! 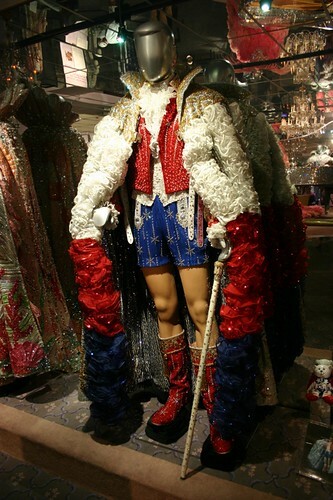 Oh the feathers, the monkey fur, the rhinestones, the beading... oh, and the shuttle bus driver shouting, "Last bus leaving in 10 minutes. Last call! Last bus of the day!" Glitterific! I've got to get to Vegas. I didn't even know this wonderment existed! upside-down monkey fur, is there anything klassier? Yikes! Sensory overload. But it looks like fun. Ha! I'm glad that you were able to experience the fabulousness. I love Vegas! I drove by but never dared to venture in. 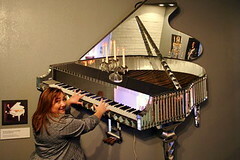 OMG - I missed pure tacky fantabulistic overload! Now I must go back.